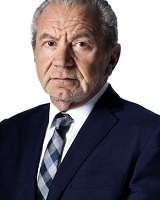 Alan Sugar 24 March 1947 British Nathan Sugar Fay Sugar TV Personality, Film Producer, Businessperson, Entrepreneur, Author, Politician, Adviser Business magnate, media personality, and political advisor. According to the Sunday Times Rich List, Sugar joined the "billionaire's club" in 2015 and in 2016. A list of popular Hindi Alan Sugar quotes are given below.